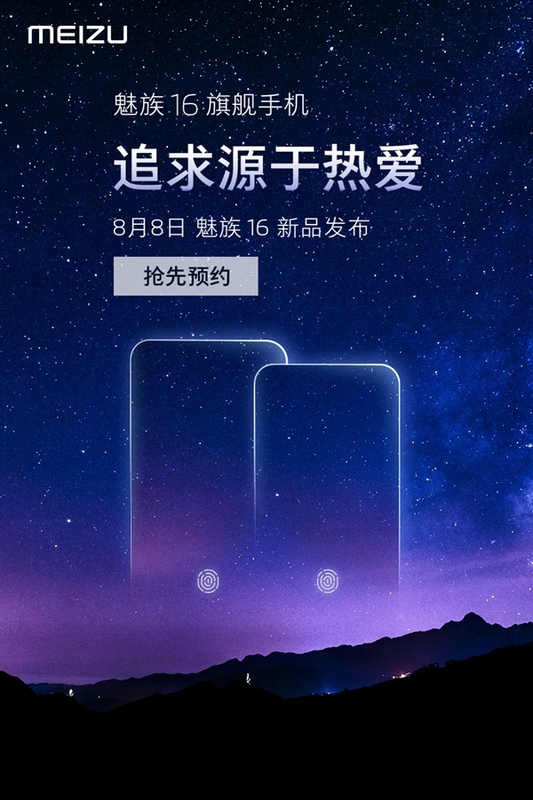 On July 30th, Meizu Technology officially announced that it will hold a new product launch conference in Beijing on August 8th, officially releasing the flagship Meizu 16 series. Now officially announced that the Meizu 16 series flagship opened an appointment in Meizu Mall, Jingdong Mall and so on. The theme of this conference is "The bangs go without a trace, the performance is more outstanding", suggesting that the Meizu 16 series flagship adopts no bangs design and focuses on high performance. 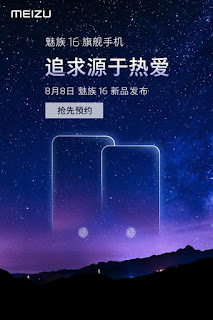 It is reported that Meizu 16 series uses a full screen of 18:9 AMOLED with a resolution of 2160×1080, equipped with Qualcomm Xiaolong 845 processor, equipped with 8GB memory, and supports screen fingerprint recognition. Among them, Snapdragon 845, 8GB memory, 18:9 full screen, screen fingerprint for the first time Meizu series, is also the top configuration of the current Android camp. In addition to the flagship configuration, the most interesting thing about the Meizu 16 series is the price. Before the Meizu technology founder Huang Zhang revealed: "Meizu 16 will be the best price of the Xiaolong 845 model, I have already minimized the company and channel gross margin." In addition, Meizu also has a mid-range model X8. The aircraft is equipped with the Snapdragon 710 processor, Huang Zhang revealed that the X8 configuration is higher than the Xiaomi 8 SE, but the price is not more than 2,000 yuan.